I have always believed that education is one of the key answers to the world’s biggest problems. Many years ago, I began supporting a small organization called Central Asia Institute, which sought to help educate the children of one of the most war-torn countries in the world, Afghanistan (they have since expanded to bordering countries, Pakistan and Tajikistan). Their particular focus was on girls’ education since girls often do not have the same access to education as boys, particularly in counties like Afghanistan. 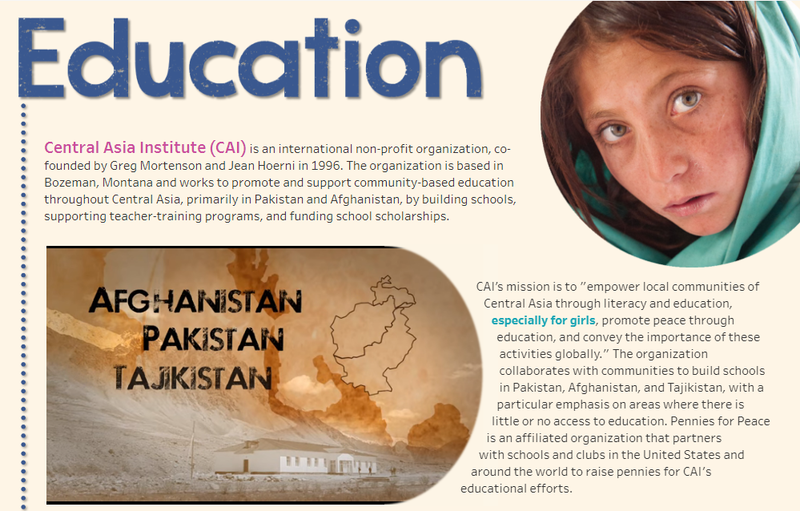 CAI does incredible work in the region, partnering with local organizations to build schools, support teacher-training programs, and fund scholarships. I have also admired the data visualization project, Viz For Social Good, founded by Chloe Tseng in 2016. 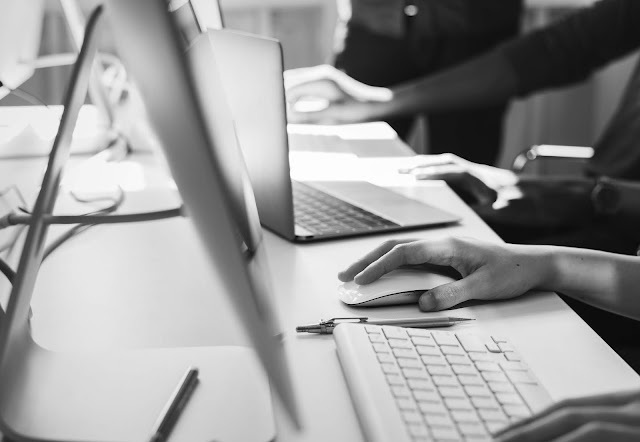 As noted on the website, “Viz for Social Good is a platform for data visualization enthusiasts who aspire to empower mission-driven organizations and increase awareness of social issues through beautiful and informative visualizations. We provide viz projects and datasets from nonprofits for data visualization lovers to explore, learn, and make impact.” I have been wanting to participate in this program for some time now, but never seemed to have the time to do so. But, a few months ago, I asked Chloe if she was open to suggestions on charities to highlight. When she said yes, I happily suggested Central Asia Institute. I was thrilled to find out that they had been chosen as project for the summer of 2017. Having suggested the organization, being a long-time supporter, and having a chance to bring attention to the need for education in this war-torn area of the world was all the motivation I needed. So, here’s my visualization. You can click on the image or click here to view the fully interactive version.